Jessica Francis has been a part of the Studio G Salon team since the beginning of its inception. After attending cosmetology school in California, she moved back to Stafford and began her career some 17 years ago. Jessica prides herself in taking the time to listen to her guests and effectively communicating their needs and desires while maintaining the integrity of their hair. 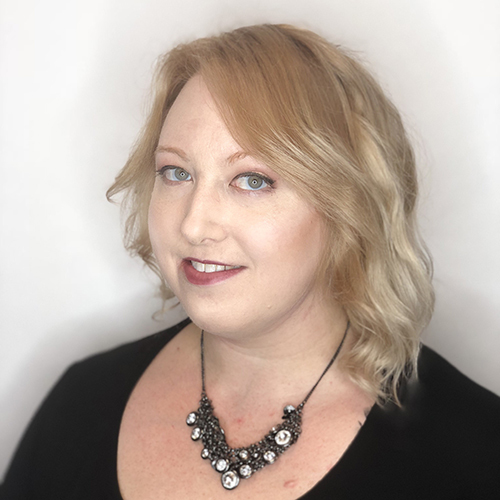 Passionate about continuing education, Jessica has taken classes from Vidal Sasson, Graham Webb, Paul Mitchell, Eufora, Affinage, Cezanne, The Business of Balayage, Kevin Murphy and many more. In her spare time, Jessica enjoys spending time with her son Caleb, drawing, painting, as well as photography. Jessica would love to work with you to create the vision of beautiful hair your looking for. Vidal Sasson ABC’S of Cutting Santa Monica 2011! Our hair salon proudly serves Stafford, Fredericksburg, Montclair, Dale City, Woodbridge, Lake Ridge, Lorton, Manassas, Manassas Park, Newington, West Springfield, Mount Vernon, Burke, Springfield VA and surrounding areas. Copyright © 2019 Studio G Hair Salon. All rights reserved. Salon Web Design by StyleNet.